Dimensions 0 by 5.06 by 7.75 in. This #1Â New York Times bestseller is an exceptionally moving story of triumph against all odds set during World War II.Â For fans of Counting by 7s and Sarah, Plain and Tall. Ten-year-old Ada has never left her one-room apartment. Her mother is too humiliated by Adaâs twisted foot to let her outside. So when her little brother Jamie is shipped out of London to escape the war, Ada doesnât waste a minuteâshe sneaks out to join him. So begins a new adventure for Ada, and for Susan Smith, the woman who is forced to take the two kids in. As Ada teaches herself to ride a pony, learns to read, and watches for German spies, she begins to trust Susanâand Susan begins to love Ada and Jamie. But in the end, will their bond be enough to hold them together through wartime? Or will Ada and her brother fall back into the cruel hands of their mother? About: #1 New York Times BestsellerNewbery Honor BookWinner of the Schneider Family Book Award (Middle School)Wall Street Journal Best Children's Books of 2015New York Public Library's 100 Books for Reading and Sharing An exceptionally moving story of triumph against all odds set during World War II, from the acclaimed author of Jefferson’s Sons and for fans of Number the Stars. 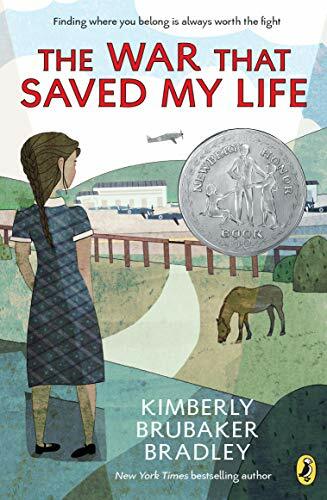 About: *2016 Newbery Honor book*Winner of the 2016 Schneider Family Book Award This #1 New York Times bestseller is an exceptionally moving story of triumph against all odds set during World War II. With Sheryl Lynn | from Harlequin Books (May 1, 1999); titled "The Bodyguard"
About: Broad shouldered and impressive: Everything a bodyguard should be—and more!